Caught up in the expulsion of the right-wing, anti-Communist Lapua Movement, Jussi Ketola is sent along the Eternal Road to the Karelian Republic. Jussi Ketola has brought Matti Kurikka’s brand of socialism with him from America. One night in the summer of 1930, the men of the Lapua Movement abduct him from his home and beat him up. The journey continues along the Lapua Movement’s thugs’ staging route, the Eternal Road, towards Russia. Ketola goes wandering in Karelia on the Russian side of the border, is recaptured at a Russian checkpoint and is finally taken to Petrozavodsk. In the autonomous Soviet republic of Karelia, Ketola encounters some acquaintances from years before in New York and works for several years on the New Dawn collective farm, established by other migrants. 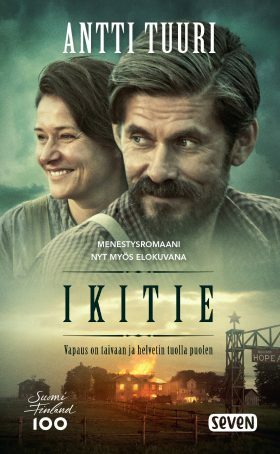 When the Soviet purges of Karelia begin, his acquaintances are taken away in the middle of the night to end up in prison camps or shot. The Lapua Movement has been suppressed. Ketola decides to return to his homeland for good.